We periodically issue our Catalog showing some dozens of artworks we picked up from our collection. Including the artworks which are not shown up on the website, Japanese paintings, oil paintings, calligraphy, crafts etc. can also be seen in the exciting high quality magazine. 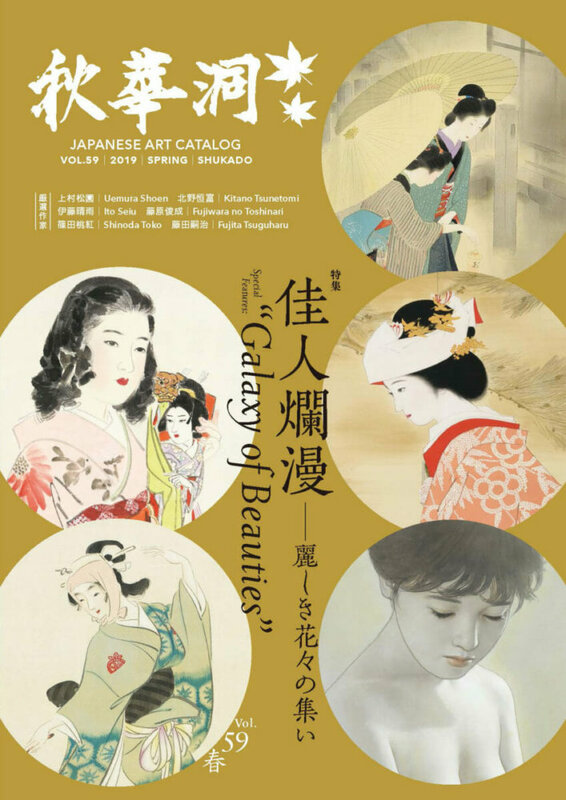 ・The Catalog Shukado to be issued more than 4 times a year will be delivered to you without any further charge. ・The monthly Shukado News Letter will be sent to your address. ・Any useful information exclusively for members will be available. 2000yen for domestic residents and 30USD for overseas residents .The application fee is free.